I love using my hands. In particular, moving them in a way that allows the fingers to flow in an expressive way. I love to watch others use their hands as well; most often completely unaware of the grace of beauty and form as fingers trace patterns in the air. 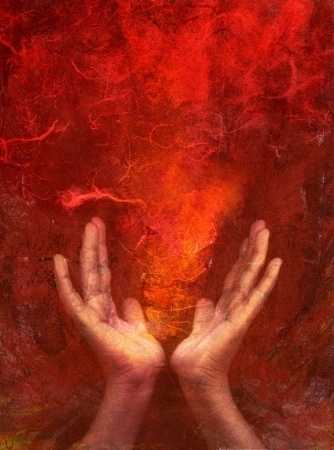 Our hands open in offering as the grace of abundance flows from wrist to finger-tip. Our hands close tightly in rejection of what is being offered and hold safe the central point of chakra and opening as sacred seed not yet ready for quickening. If the eyes are the gateway to the Soul, I believe the hands are the co-creators in painting the visual expression of that Soul’s work. 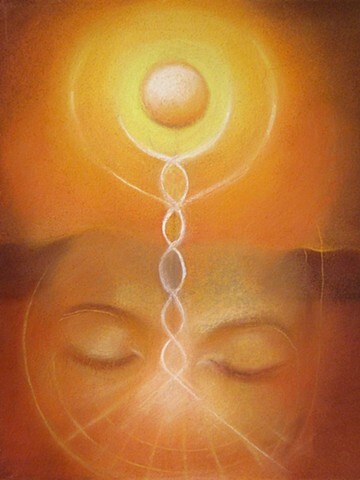 In spiritual work hands and the placement of the fingers to create specific shapes and forms punctuate the energy desired or directed and the container in which that energy will move in receptively or flow out projectively. The mudras of the yogi tell the store of creation and the mystery of how creative energy flows. Our hands are able to grasp manifest materials and the fingers gently hold those treasures in place or crush them back to their base elements. The sensitivity of touch and the sensing of surrounding energy as we reach out into the enveloping space set in to motion visceral and neural response to what we are experiencing. 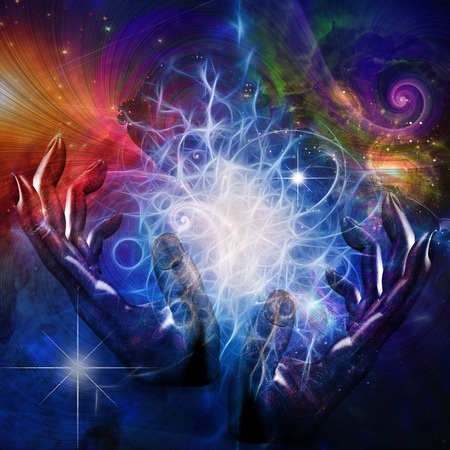 The carefully directed flow of intent-filled energy as finger becomes the working tool of magickal space offers opportunity for our physical form to literally become the vessel of the magick we are weaving. No need for wand, sword or athame if flesh, blood and bone work cohesively to produce the desired effect. Our fingers point and guide the attention to whatever direction is the center point and the light caress of fingertips reveals the love and desire flowing through another. We use the fingers as the drawing and guiding tools of pulling someone in for a closer look or loving embrace and we repel with first contact of finger and hand to keep another at distance. Our fingers and hands create the space of entertainment on shadow lit walls as creatures and scenes come to life. And, serve as the filling support for puppets at play. With gentle syncopation and accent and the dynamic grasping of baton, music carries us to faraway places and inner adventures woven like stories from notes and vibrating air. Instruments respond with harmony or intended dissonance at fingers’ correct placement and fingers fly with mercurial speed on communication across silver and gold flute. Our fingers can soothe or harm as extension of love or anger’s guise and the impatient drumming of finger on smooth surface can drive to distraction. And, the same repetitive motion turned now towards plucking of harp strings uplifts and brings us closer to the ethereal realms. We type ad write, paint and craft as creativity flows through in tactile and kinesthetic form. Our mind’s great thoughts drawn down through upper body and final product a vision of inspired act. The gifting of a book or piece of beautifully crafted art holding the indelible finger-prints of our hearts exchange in offering to the chosen one. Our hands are marvelous things that hold the depth and wisdom of causing change, inspiring action and holding steady and strong. They are powerful and gentle and fit so comfortably together with that of another. So, pick up the brush of finger-tip and dip deeply into the colors of energy and life. Let the painting of your work fill the canvas of a life’s journey. Tell the story, let the energy flow and look into the heart of your creation as arms, hands and fingers wrap round to embrace the being of creative life that you are. Each pore as inspiration flows. My telling to gather in the heights. And fingers caress smooth skin. And the vision of your Soul. The Temple of the Sun-First Post Today! All Hail! The Temple of the Sun is Upon Us! Be sure to check out the introductory post to the year-long study of the Temple of the Sun as we greet the Sun in Aries and celebrate the Vernal Equinox. Enjoy!